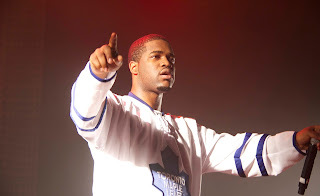 A$AP Ferg recently honored the late A$AP Yams at an event announcing his collaboration with Adidas Skateboarding. "He's really the tatted angel. I feel like God brought him here to complete a mission because really like Yams fell back after we made it. He was like, 'Yo, Y'all niggas is good.' He started working on different projects and started trying to develop new artists like Cutthroat, Aston Matthews and Joey Fatts and working with Tan Boys and stuff. "-A$AP Ferg speaking of A$AP Yams.